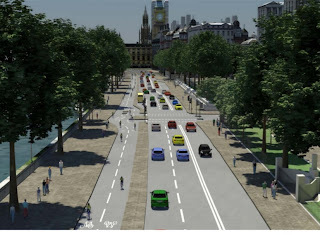 Lambeth Cyclists: What will the Mayor of London's cycling vision mean for Lambeth? 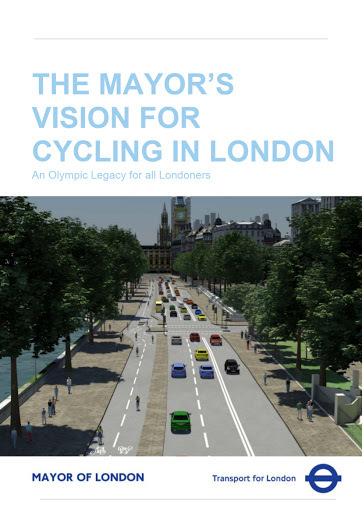 What will the Mayor of London's cycling vision mean for Lambeth? In March Mayor of London Boris Johnson set out with much fanfare his vision for cycling in London. The Mayor pledged increases in funding and new initiatives including a new segregated East-West ‘crossrail superhighway’, improvements to the existing cycle superhighways, signed quietways along backstreets and the creation of ‘miniHollands’ in outer London. We expect the impact of these initiatives and investment on Lambeth to be positive – whilst Lambeth will not feature in the East-West segregated route (pictured) our borough contains many key TfL roads such as Brixton Road, Clapham Road, Vauxhall Cross and the South Circular and so we expect improvements building on the work we and other groups within LCC have been doing on the junctions review. particular the proposed segregated cycle lane on Harleyford Road leading to Vauxhall Cross is cited as an example of Boris’ approach. The work that TfL have done with Windrush Square in Brixton is also highlighted in the document. The Mayor’s vision relies on cooperation with borough councils such as Lambeth. Boroughs are responsible for the local roads which link to the major TfL routes and are the key to delivering a coherent cycling network for London: as the Mayor himself acknowledges TfL only has direct control over 5% of roads in London. In many cases the initiative will build on good practice seen on the London Cycle Network and filtered permeability in places like Lambeth to encourage more cycling by everybody.